HomeIT Consultant NewsU.S. News Best Jobs: Which IT job is #1? The number # IT job for 2019 is SOFTWARE DEVELOPER! Software developer is also the #1 STEM job and the #1 technology job. Average income is over $100,000.00 per year! “Software developers invent the technologies we sometimes take for granted. For instance, that app that rings, sings or buzzes you out of a deep sleep every morning? A software developer helped design that. And when you roll into the office and turn on your computer, clicking and scrolling through social media, music and your personal calendar – software developers had a big hand in shaping those, too. You might spend your lunch shopping, and before you make that big purchase, you check your bank account balance using your phone. Later, you’re cooking a new recipe from that great app your friend told you about. As you look over the course of your day, you come to see that software developers are the masterminds behind the technologies you now can’t imagine living without. The best software developers are creative and have the technical expertise to carry out innovative ideas. You might expect software developers to sit at their desks designing programs all day – and they do, but their job involves many more responsibilities. They could spend their days working on a client project from scratch and writing new code. But they could also be tasked with maintaining or improving the code for programs that are already up and running. Software developers also check for bugs in software. And although the IT job does involve extreme concentration and chunks of uninterrupted time, software developers have to collaborate with others, including fellow developers, managers or clients. Developers are often natural problem solvers who possess strong analytical skills and the ability to think outside the box. Software developers are employed in a range of industries, including computer systems design, manufacturing and finance. The Bureau of Labor Statistics projects 30.7 percent employment growth for software developers between 2016 and 2026. In that period, an estimated 255,400 IT jobs should open up.” Read more HERE. 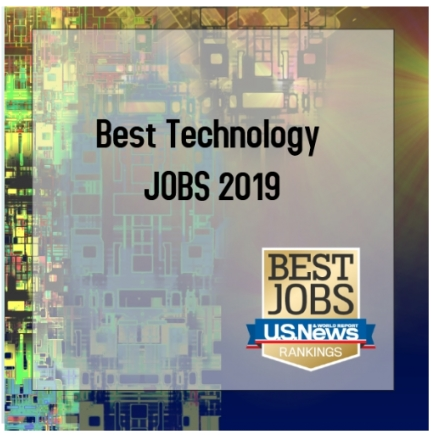 Check out the top IT Jobs for 2019 HERE. If you are in the market for a new IT job, be sure to check out the TAG job board for some of our open positions. If you are a software developer, we have a great opportunity available!